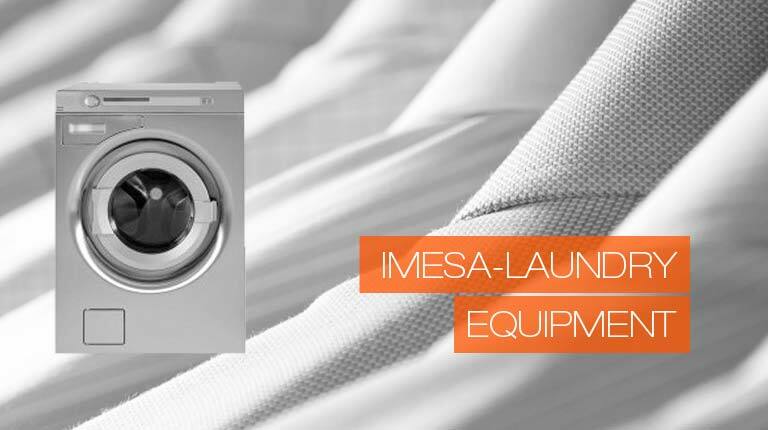 Imesa is a leading company in the production of Laundry equipment. We achieved this goal, thanks to more than 40 years of total commitment to the continuing challenges to satisfy the growing technological expectation of human beings and changes in lifestyle. Our Production process quality are certified by UNI EN ISO 9001. We maintain high standards of product safety, reliability and quality backed by the best sales and after sales service. IMESA products uses the most modern technologies to assure high quality results. Washing Machines, Tumble dryers, Flatwork and drying ironers are all equipped with the most modern electronic control systems: washing, drying and ironing parameters are always under control to avoid the treated linen is damaged. IMESA products are designed thinking to the end user, in order to assure him the minimum risks and the maximum of ergonomic. All IMESA products keep low noise level and are equipped with the best safety systems. Attention to environment starts from the products production: the producing process are thought to reduce to the minimum wastes and environmental impact. IMESA products are designed to maintain low energy level and to avoid water and detergent waste.